If you’re like me, when you think of classical composers who have great beards you think first of Johannes Brahms. It certainly is legendary, both for its bushiness and its artful presentation. 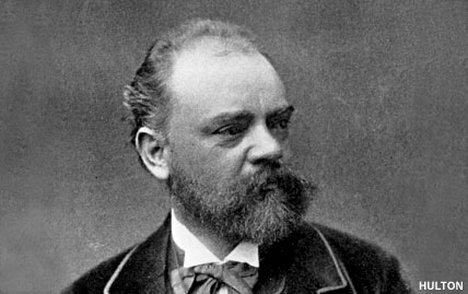 But a great number of composers have sported abundant facial hair at one time or another…and I think it’s time for some awards. 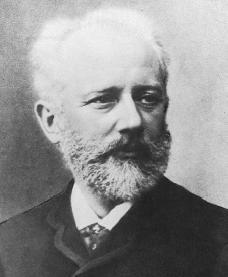 Fitting that we start with the composer who best emulates the most iconic classical music beard. It’s got heft; it’s got curls; and most of all it’s got attitude. The contemporary Estonian composer proves that you don’t have to have fruitful follicles on your head in order to sprout a forest on your face. It’s really a toss-up here. Scheherazade could run out of stories and be beheaded long before anyone could get the tangles out of Rimsky-Korsakov’s mess. As for the lesser-known, but enormously prolific Koechlin: if he had written one fewer symphonic poem, perhaps he could’ve had time for a trim…or two. I hate do to this to one of my favorite composers, but according to Geekologie’s The Trustworthiness of Beards chart and Wagner’s unmistakable neck beard, I have no choice. It’s like the first time you tried to grow a beard but there were patches that didn’t completely fill in. I remember shaving that all off out of sheer embarrassment, but Mussorgsky embraces the wispiness. Looking at pictures of Erik Satie, it’s clear he spent a lot of time trimming and shaping his beard. He also, it seems, spent a great deal of time shopping for glasses. Not surprising for a man who owned 100 umbrellas…and only ate food that was white. Was The Velvet Gentleman the original hipster? There’s something missing here. I feel like Offenbach was going for the Brahms beard but then decided to shave right down the middle of his face. It takes a man who is quite secure in his identity to rock these mutton chops on steroids. Then again, he did write light opera. This gets nominated for its sheer volume alone. Imagine the beard-growing possibilities here! Why Elgar never let his beard reach its full potential, I guess, is the eternal enigma. Here’s where it’s up to you. Who do you think has the greatest beard among these classical composers? Is Brahms still the King of Beards? Cast your vote in the box below.